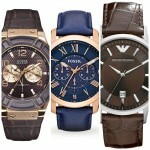 Today I’m going to be featuring some of the most popular Royal London watches for men. Tomorrow I’ll also be taking a look at some of the best Royal London pocket watches so make sure you come back if that sparks your interest too. Are Royal London watches good? Royal London watches are perfect for those who like traditional watch design. The brand was established in 1998 and have managed to cerment themselves as a popular affordable brand due to their high-quality manufacturing and wide selection of designs and styles available. My personal favoruites have to be their smart looking skeleton watches of which a couple feature in today’s list. 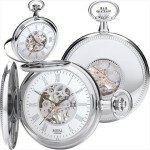 I personally think Royal London makes some great timepieces which offer very good value for money. If you have any questions about of the watches featured in today’s list just comment below and I’ll try and help you out as soon as I can. Up first in today’s list of the best Royal London watches for men is this popular oversized timepiece. It features a larger 46mm stainless steel casing that’s been PVD gold plated. I love this large black bezel with the detailed finish too that makes the watch stand out. The strap of this Royal London watch is made of a genuine leather in black and fastens with a buckle style clasp. The dial is easy to read with the contrasting colours that have been used for the background of the dial and the hands and hour markers. There are 3 chronograph sub dials on display as well as a small date function at the 4 o’clock position. Powering this Royal London watch is a quartz movement. This is a reliable and accurate type of movement found in many affordable watches. A mineral crystal glass protects the front of the watch from scratches and shattering. This timepiece also has a 50m water resistance rating which is good. You can read my full 41287-03 Royal London watches review here soon. Up next in today’s list of the most popular Royal London watches is this interesting skeleton automatic timepiece. It has a 40mm stainless steel casing with a thickness of 12mm. The strap is made of a genuine leather in black and fastens with a buckle type clasp. On the dial of the watch you can see a large amount of the automatic movement on display through the skeleton finish. They’ve used Roman numeral style silver coloured hour markers which works well for this smart watch. Powering this skeleton watch is an automatic movement that never requires a battery as it’s charged up from the movement of your wrist. You can view this movement working away through the rear exhibition caseback which happens to be one of my favourite features on an automatic watch. The glass of this Royal London watch is made of a mineral crystal that’s been specially hardened to offer extra resistance to scratches and knocks, as well as having a good level of shatter resistance. You can read my full 41300-01 Royal London watches review here soon. 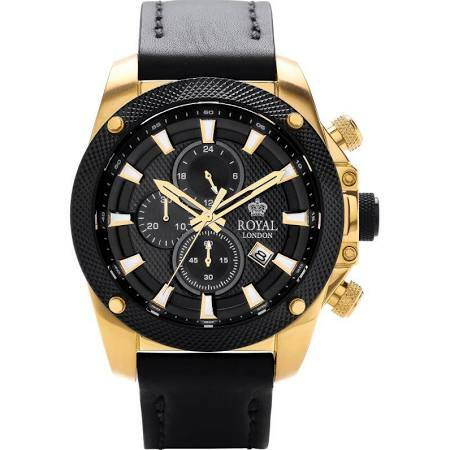 Here we have a popular affordable Royal London watch that’s suitable for both smart or casual occasions. It has a stainless steel casing with a diameter of 36mm and a slim 7mm depth. The strap is made of a genuine leather and fastens with a buckle style clasp. I like this simple dial design with the high contrasting black hands and Roman numeral style hour markers that stand out brilliantly against the white coloured background. There’s also a handy date display at the 3 o’clock position. 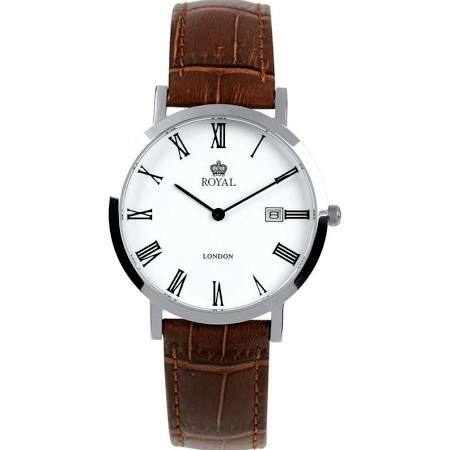 At the heart of this Royal London men’s watch is a quartz movement for reliable and accurate timekeeping. A mineral crystal glass protects the watch from scratches and shattering. It has a 30m water resistance rating too. You can read my full 40007-01 Royal London watches review here soon. 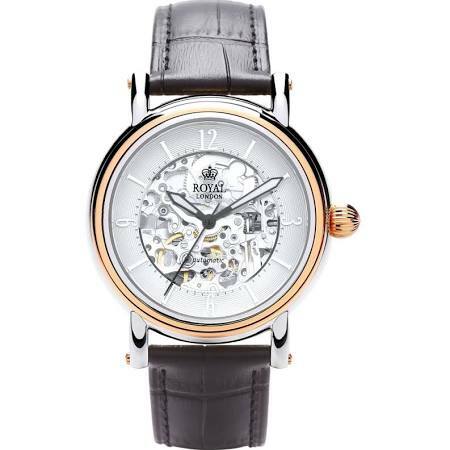 In at number 4 on our list of the top Royal London watches is this very smart looking timepiece. 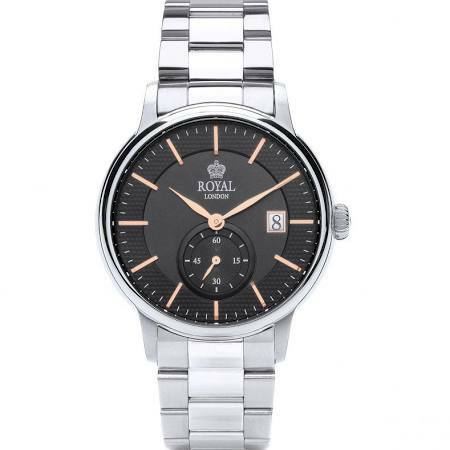 This Royal London watch has a stainless steel 40mm casing with a thickness of 12mm. It’s been paired up with a brushed and polished two tone stainless steel strap that fastens with a fold over clasp. I really like this dial design with the mixture of black and PVD rose gold which I think goes very well together. They’ve used slim baton style hour markers along with slim watch hands that are rose tinted. A date display is found at the 3 o’clock position along with the seconds display which is on a separate sub dial at the 6 o’clock position. At the heart of this Royal London watch is a quartz movement for accurate and reliable timekeeping. It has a 50m water resistance rating which is good to see. And a mineral crystal glass offers a good level of protection from scratches and shattering. You can read my full 41231-06 Royal London watches review here soon. 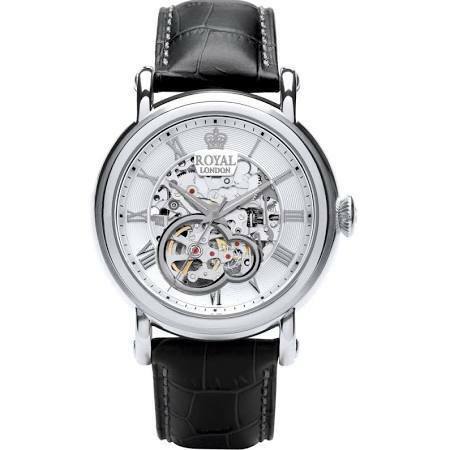 Last up on today’s list of the top Royal London watches for men is this popular skeleton watch. This timepiece has a 40mm two tone stainless steel and gold PVD plated casing with a thickness of 14mm. The strap is made of a soft genuine leather in black and fastens with a buckle style clasp. I really like this skeleton dial design with such a large amount of the automatic movement on display. There’s a mixture of baton style and numeral hour markers around the outer part of the dial. The hands have a nice black outline to make them stand out against the background which I think was a good design choice. This skeleton Royal London watch is powered by an automatic movement that’s self-winding and never requires a battery. It’s charged up from the movement of your wrist throughout the day. You can see this movement through the rear exhibition caseback of the watch. This timepiece also has a 50m water resistance rating which should be useful. You can read my full 41150-04 Royal London watches review here soon. 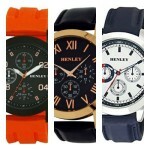 Thanks for taking the time to read through today’s list of the most popular Royal London watches currently available. What was your favourite model? Comment below and let me know. 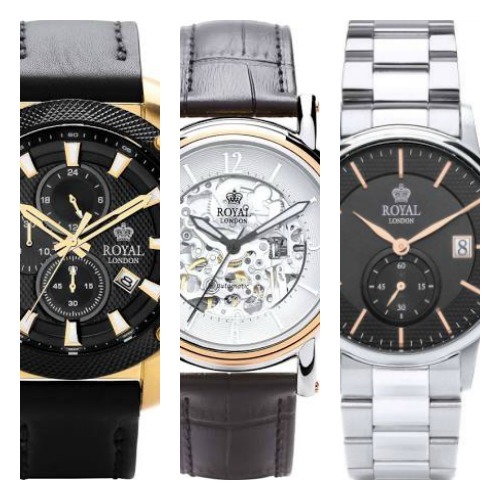 Has anyone purchased any of these Royal London watches? I like number 2 the most and would just love to hear what other people thought of them before I make the commitment.